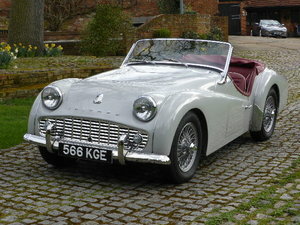 This is a 1962 Triumph TR3 B. 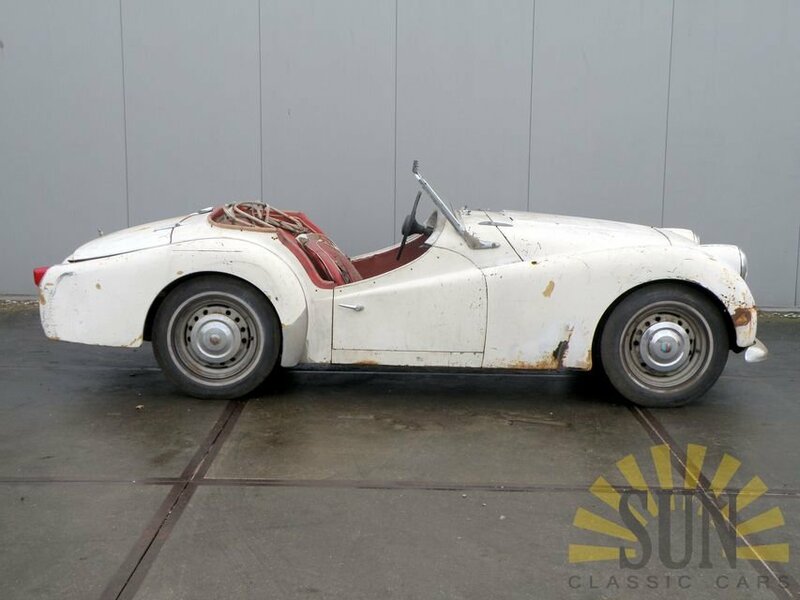 This rare B-type was only produced for 1 year. 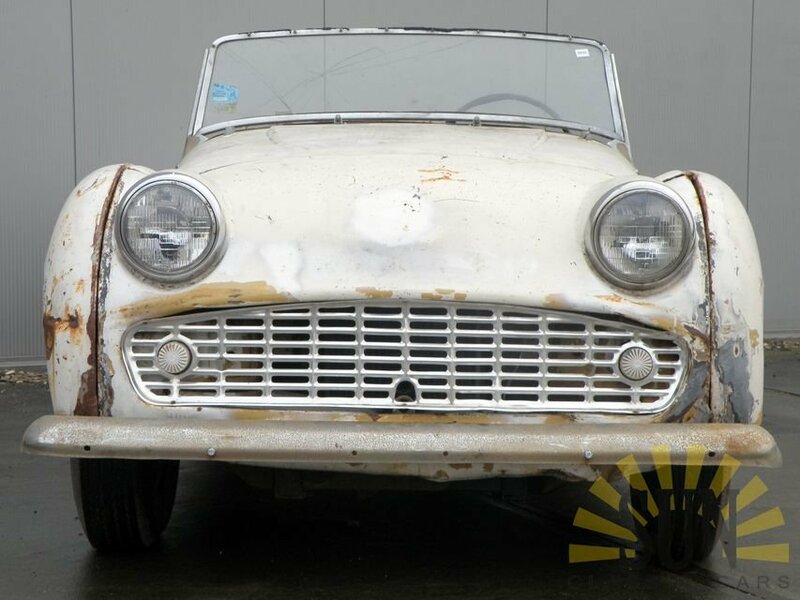 A solid basis for restoration. 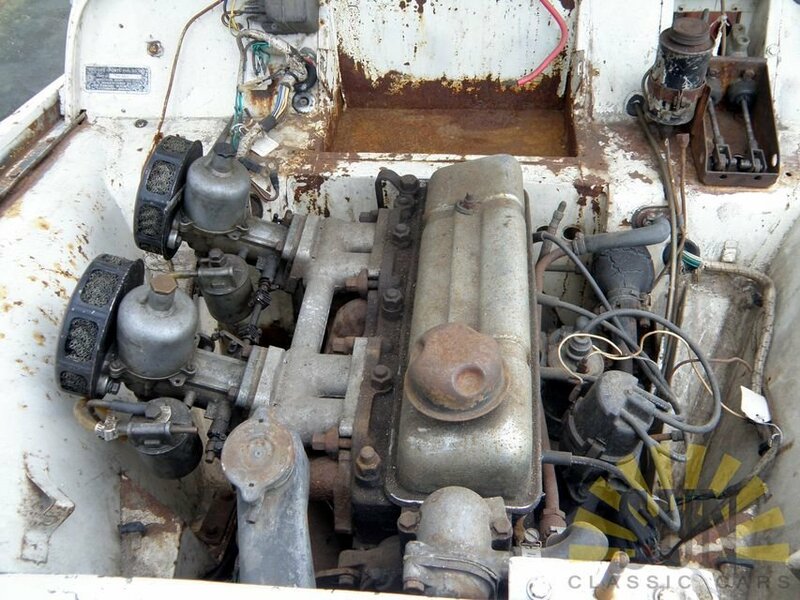 The 1998CC, 4 cyl, 105 HP engine is detached and turns by hand. The Triumph has his original matching numbers engine. Only 3.331 cars of this B-version were built. 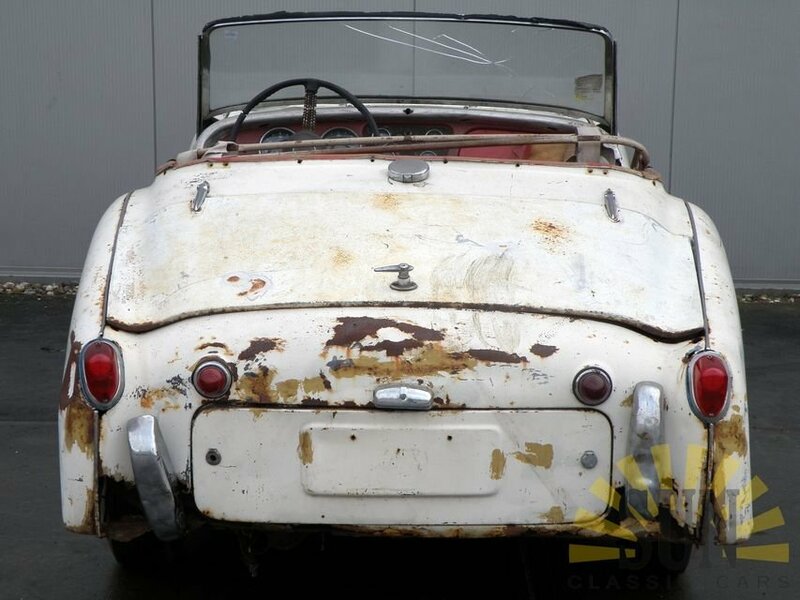 This Triumph has American title, import duties are paid for. 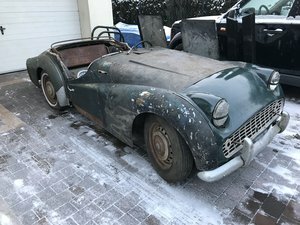 Cette Triumph TR3 B est de 1962. Cette type B tres rare etait construite pendant seulement un ans. Une base solide pour restauration. Moteur de 1998 CC, 4 cyl, 105 din cv est detaché et tourne a la main. Cette Triumph a moteur matching numbers d’origine. Seulement 3.331 voitures de version B sont produit. La Triumph a carte grise americaine, taxe d’importation est payé. 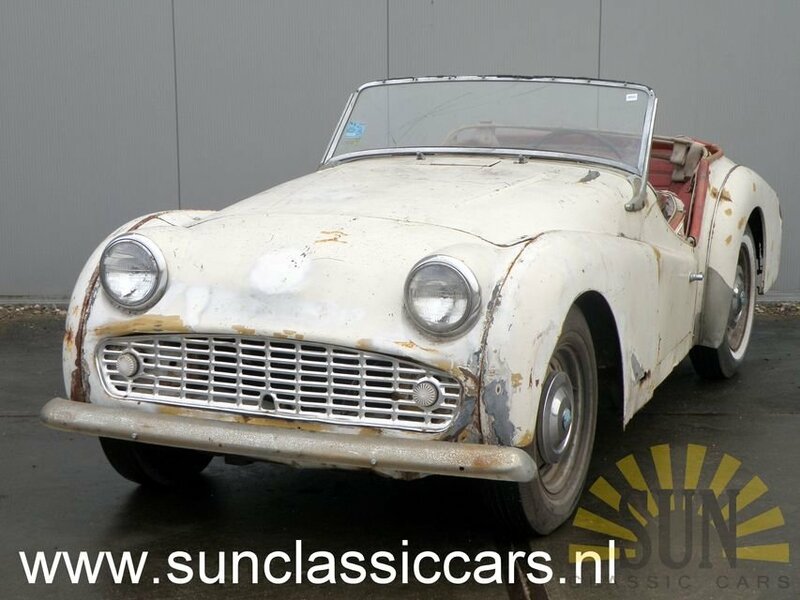 Dieser Triumph TR3 B ist aus 1962. 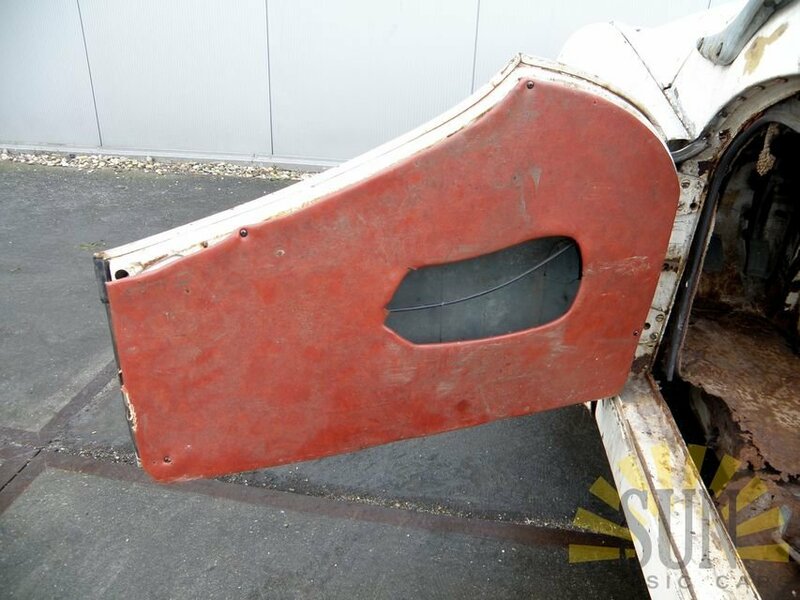 Diese seltenen B-Type sind nur 1 Jahr gebaut worden. Sehr solide Basis für Restaurierung. Der 1998 CC, 4 Zyl, 105 PS ist locker und dreht beim Hand. Der Triumph hat seinen Matching Numbers Originalmotor. 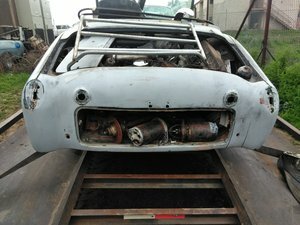 Nur 3.331 Stuck dieser B-Ausführung sind gebaut worden. Der Triumph hat Amerikanisches Kennzeichen, Importsteuer ist bezahlt worden.